Craft a plan and perform market analysis and research to uncover the benefits of Chinese-focused campaigns. Chinese speakers make up the world’s largest Internet user base – meaning your target market will expect to receive information online. Whether your audience is based in North America or internationally, there are customizations required for each region. We’ll help you uncover the right target market and the perfect way to capture their attention. If you’ve established that you want to reach a Chinese demographic, we can assume that you have figured out the “who” question, but have you figured out the “where?” Are you trying to reach people located in Mainland China or Hong Kong? In Mainland China, are you looking to reach a demographic in the Tier 1 cities like Shanghai, Beijing, Guangzhou, Shenzhen, Hangzhou, or more than 100 Tier 2 cities with a population of 1 million+ people each? Or are you looking to reach a localized Chinese speaking demographic in the USA, Canada, UK, or other English speaking country? Each city has its own set of Chinese cultural nuances, and targeting the Chinese population in London, UK is different than North American cities with a high-percentage Chinese population like New York, L.A., San Francisco, Vancouver, or Toronto. Let us handle the tough stuff. 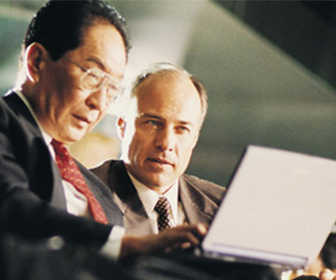 Whether you’re an English or Chinese-speaking business, we’ll gain you the trust and interest of the Chinese market. Sheng Li Digital will craft a detailed Chinese marketing strategy, plan your budget, choose the optimal channels for your needs, execute your campaigns and provide detailed reporting.